Do u use a case? Besides, how's the strength of the g3 without case? Does it survive low drops? icu and mcolesjr like this. 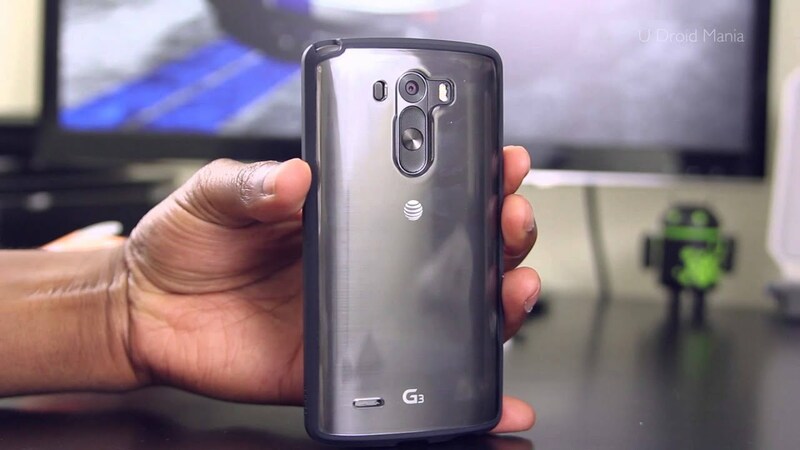 I use a book-style case, and the price paid for that protection is indeed that the G3's good looks are hidden. But some cases, like those linked by Gekko, are attractive. With that type I'd want to add a screen protector. I never use a case or screen protector. Naked is just the best. I've been using a nilkin bumper and as awesome as it is I just love the nakedness. I'm looking into slickwraps and carbon fiber tape. Just need some good corner protection. I have a Otter Box Defender it does cover it up and that is disappointing. However it when I dropped it from the top of a 12 foot ladder it still works. So the case did serve it's purpose. I use a case and it doesn't "spoil" the looks at all since it's completely transparent. Use an otterbox defender for the G3.. Saves your phone and I find that it adds style to it that dont look half bad at all.. I also have the Spigen in the 'Metal Slate' color...very nice. The edge is very minimal, but enough to protect through the five or six times I dropped it. I also have a tempered glass screen protector. Some of us have to hold onto our phones for two years, so I like to keep mine as clear of nicks and scuffs as possible. This case is a good combination of thin and protective. I use the spigen ultra hybrid. Not my pic though, but the same case and phone. Hvacmanjc and MC_A_DOT like this. I've had bad experiences with screens, I had a Nokia Lumia 900 that fell from about 2 inches high and the screen shred to pieces, the lcd kept working though. I also had a Galaxy S4 that had a 1milimiter crack caused by a coin, while my phone was in my jacket pocket, but this one cracked the lcd so bye bye S4. after that the very first thing I do after getting a phone is get a hard case and a screen protector, I do not care how ugly it may look and I also do not care if it has gorilla glass 1,2,3 or 100. my phones are getting a hard case, I dont mind that all of them look almost the same. As with many things, naked looks and feels better but I'd rather be protected. I don't mind my defender at all. I use the Supcase. Works well and looks good. Nope, looks ugly. Tried it but couldn't do it. Dropped mine a couple of times and it survived unscathed. Just make sure you break its fall with your foot. Really happy with this case. Very minimal (barely noticible from the front) and I like the matte black look on the back with my Blue Steele bits peaking through. Above it all though the feel is just great. Very nice soft and grippy feel + the sides have grooves that make it even easier to hold onto. Without a case I always felt like I was going to drop my G3. TBH my reason for getting this case was to help avoid a drop. mcolesjr and jd4d like this. Spigen Slim Armour with glass screen protector. Looks great!